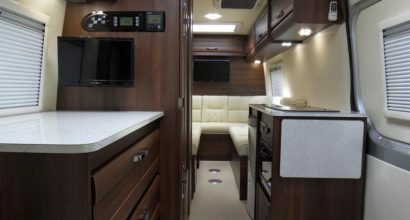 Luxury Shadow motorhome built on Extra LWB 3.0 V6 van. 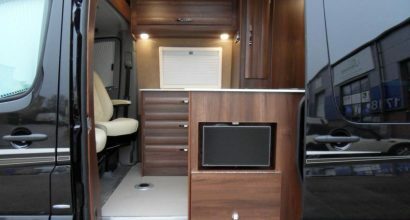 This vehicle is absolutely bursting with features and options on both the vehicle and conversion. 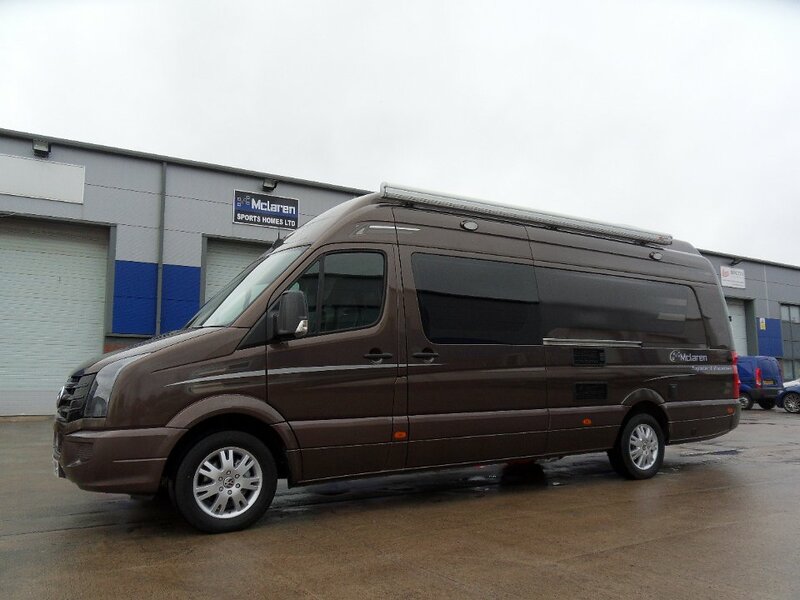 Custom luxury conversion on a Mercedes 316 extra Long wheel base Sprinter. 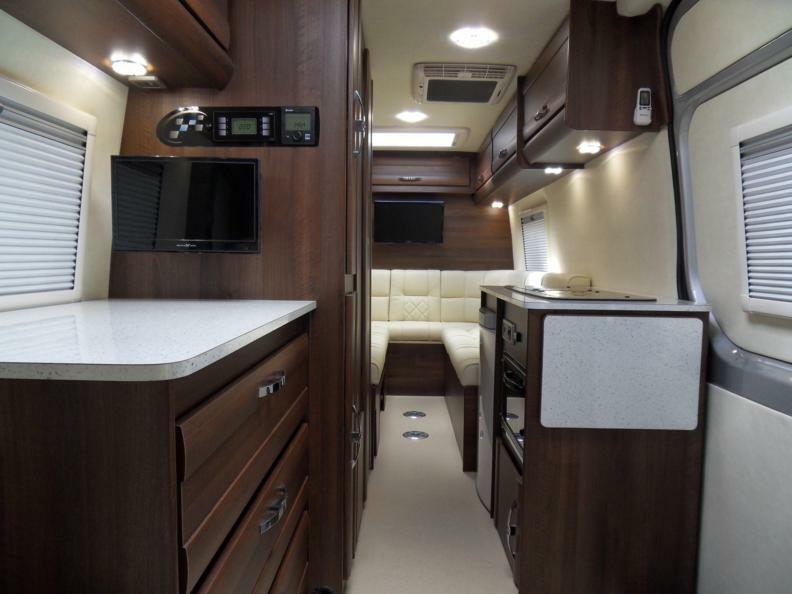 Classic dark walnut interior against contrasting cream leather upholstery. 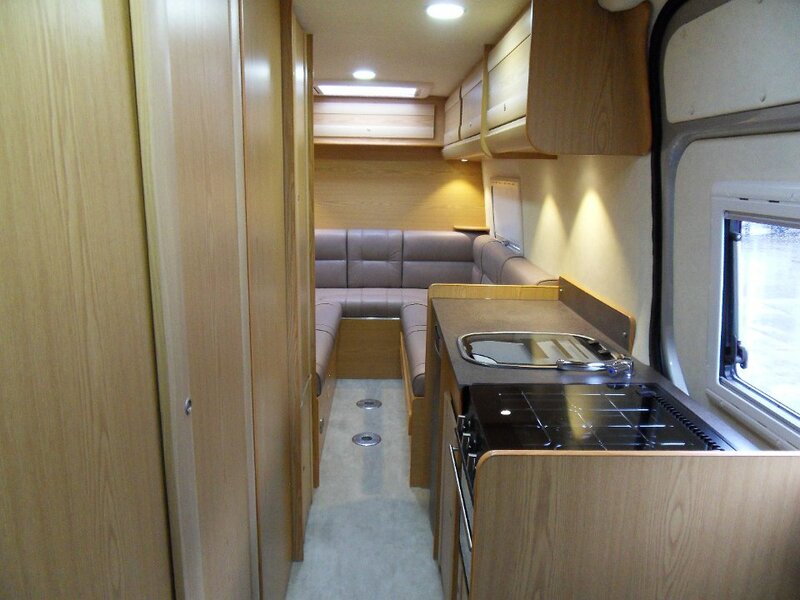 Bespoke luxury motorhome conversion based on Mclaren Shadow 2 berth layout. The base vehicle is the popular 160BHP extra LWB variant. Finished in brilliant metallic silver with matching bumpers and plastics. 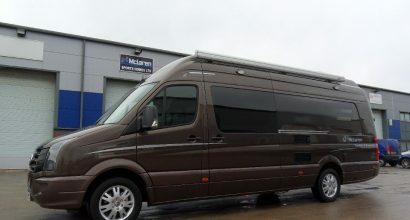 Sprinter motorhome built for a patriotic Scottish customer. 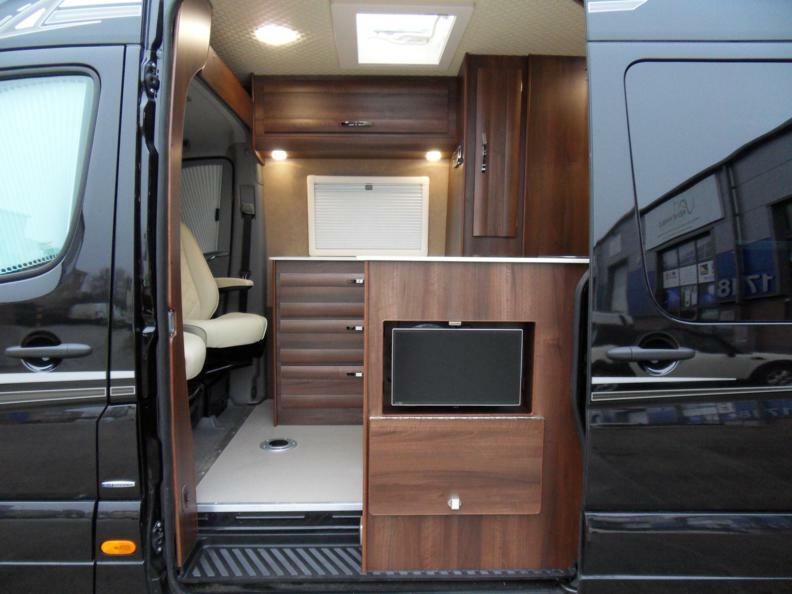 Based on the LWB 316 model with the standard high roof option. 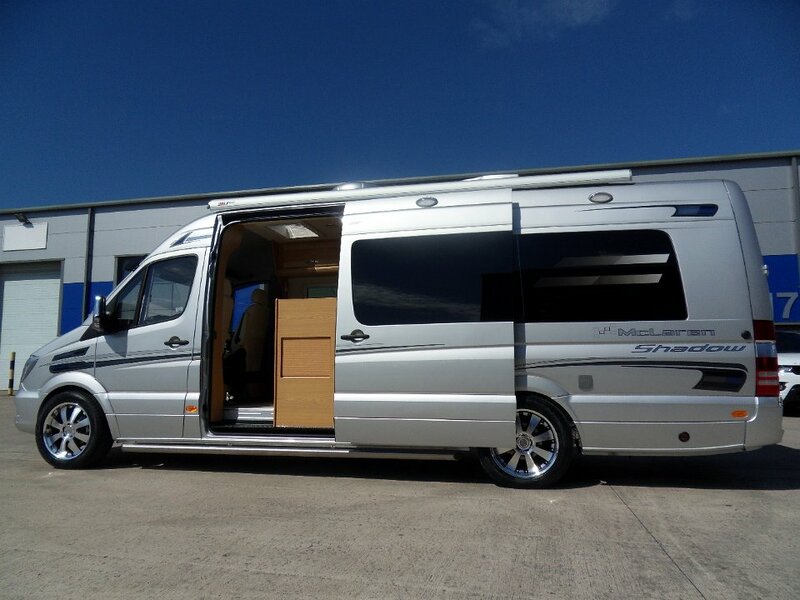 Tartan decals feature on the exterior as well as factory Mercedes alloy wheels. 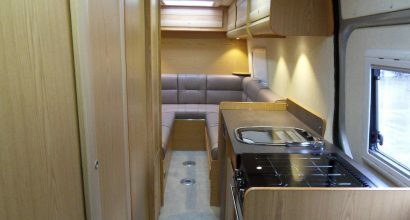 4 berth camper based on the extremely rare 5T twin wheel 4 x 4 base vehicle. This vehicle is a serious offroad tool with a huge payload. Aqua green colour for ultimate stealth camping in the wild. VW Sporthome designed for Motocross. 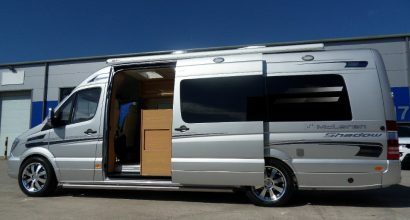 Extra long wheel base and super high roof. L shape lounge finished in black and grey leather diamond stitched upholstery. 2 x TV's. 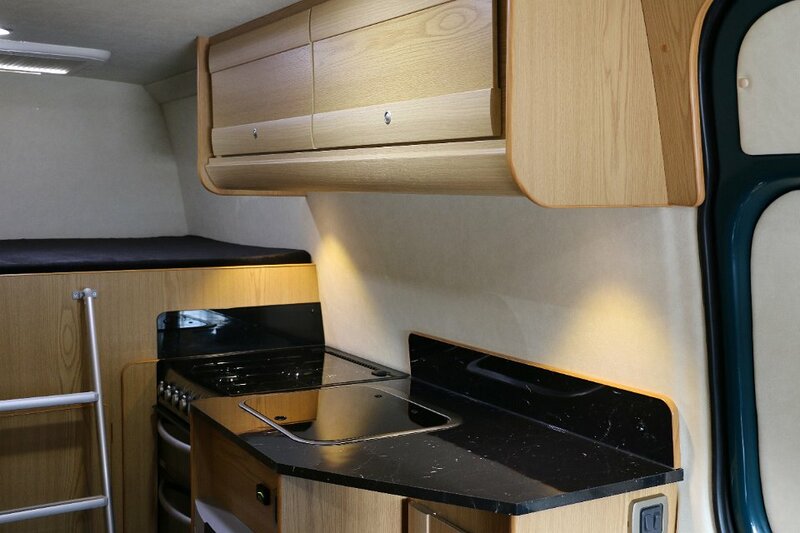 Microwave and 2 burner hob with combined sink. 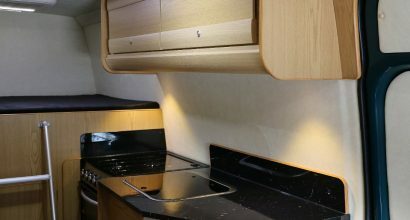 Polished Silestone work surfaces. Wet room and toilet in high gloss white.